For diehard fans of the hit HBO series Game of Thrones; the return of the show would have been greeted with shock and awe. Season 5 brings us back in to the fray with all of our favourite characters, from Jon Snow and Aria Stark, all the way to the Mother of Dragons and her retinue. For those of you that have been out of the loop, you may be in the process of catching up with the season and will undoubtedly be shocked by what’s gone on so far. Here’s a look at this season’s most shocking moments. Be warned – huge season spoilers are contained below! If you haven’t read the books, then you might be counting the days until George R R Martin kills off one of our favourites – Jon Snow. 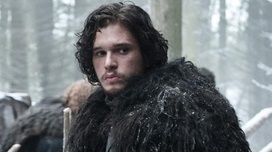 Fortunately, Snow looks firmly set in his new role as Lord Commander of the Night’s Watch. After being elected by a majority vote that was decided by none other than Maester Aemon; Jon’s first act was to order an opponent to perform an act fitting of his degradation. When this opponent refused, Jon dispatched him himself with his own blade. Check out Episode 3 and 4 for the build-up. Being considered one of Westeros’ greatest swordsmen of all time does have its advantages; one of those being welcomed by our favourite Dany. Unfortunately, during an attack on Mereen by none other than the Sons of the Harpy – Ser Barristan was mortally wounded fighting alongside the captain of the Unsullied, and he was pronounced dead at the dawn of Episode 5. As retribution for the death of two of her closest friends and allies, the Mother of Dragons decides to make an example of those that she deems responsible for the Sons of the Harpies’ atrocities. She does so in her typically brutal fashion (as of late), and gathers every head of house from Mereen’s noble families. She then has one of them force-fed to her two dragons, who unceremoniously went about char-grilling and then sharing the hapless victim. Dany certainly means business. This event was somewhat expected by fans of the Game of Thrones, or A Song of Ice and Fire franchise. After travelling to Braavos, Aria finally comes face to face with her old friend Jaqen H’Ghar. It wasn’t as straightforward as that however, but she’s now within the temple of the Faceless God. Will she become an assassin? Well she’ll need to get over her ‘I will kill everyone’ attitude first surely. These are just a few of the awesome events that are taking place within Game of Thrones right now. To catch the show, just sign up for HBO or HBO Watch – you’ll even have the option to start from season 1 to catch up properly.